Karel Carré developed an early reputation for pushing limits, sometimes reaping the benefits, other times, the consequences. In 2018 Carré proved his detractors wrong while on the way to winning the Canadian Rally Championship overall. Carré benefited immensely from the guidance of his father, Bruno, himself a national rally winner. Young and determined, Karel pushed hard at every event, sometimes landing on the podium. However, that approach also landed the young driver well off the road, and in need of a new car. 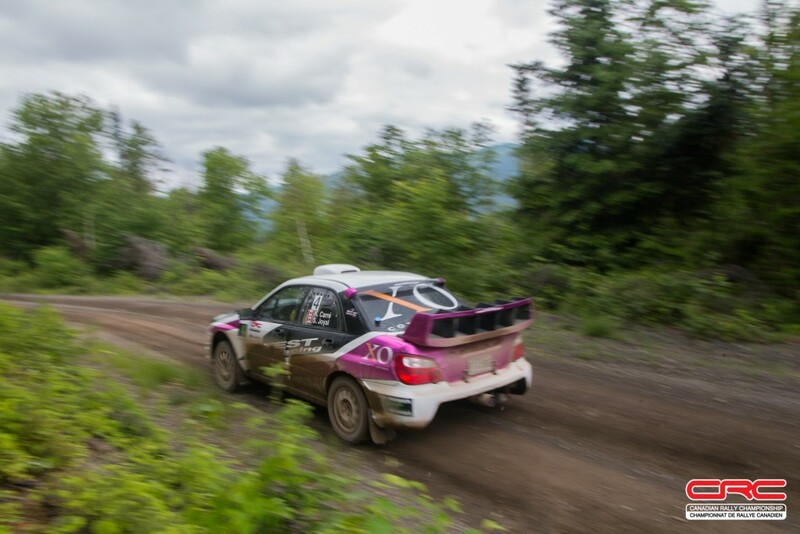 With the 2018 season wide open after Subaru Rally Team Canada withdrew their team for the year, Carré was one of many hungry competitors ready to have a go at the title. He and co-driver Samuel Joyal opened the season as strongly as possible, winning Rallye Perce Neige. What evolved over the next couple of events was a championship battle between Carré and his TEST Racing teammate Simon Vincent. Vincent and co-driver Hubert Gaudreau expected Karel to continue to drive as he had in the past, and they planned their championship accordingly. 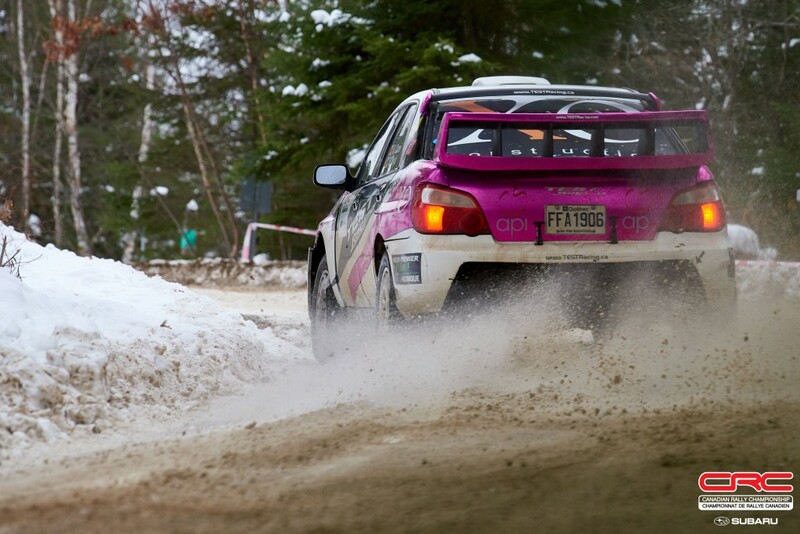 Vincent and Gaudreau set about running every event of the year – ultimately skipping the Big White Winter Rally – and counted on their consistency to win out over the greater outright speed of their rival. As such, the pair led the championship for the first half of the year thanks to a strong result at the Rocky Mountain Rally, an event Carré and Joyal did not enter. Arriving at Rallye Défi, the battle was close. Over two days of racing, it was Karel that came out on top, finishing second place to notch enough points over fourth-placed Vincent to take over the points lead in the championship season. It seemed Karel was changing the script. Carré and Joyal focused on running their own events rather than getting caught up in the championship battle. When they headed to new events, the focus was simple; earn as many points as possible through restrained, consistent driving. “Going west was a big investment, so we didn’t want to make a mistake,” said Carré. Seeing new roads in unfamiliar terrain meant flexible thinking had to be part of the approach. Without previous notes to work with, the team focused on what worked, and adapted as needed. The strategy worked, with the team not only beating Vincent and Gaudreau, but winning overall. In fact, TEST Racing went 1-2 on the weekend, proving the abilities of both teams, and justifying what had evolved into a two-horse race for the title. 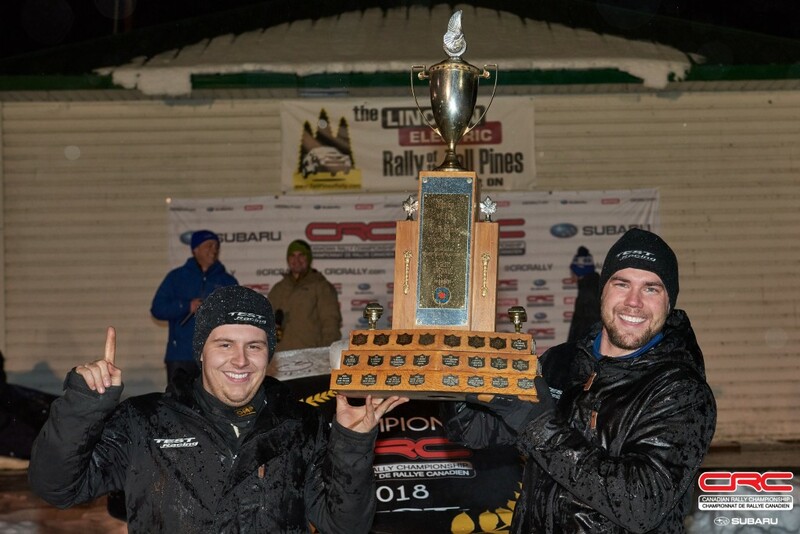 At the second-last round of the series, Lincoln Electric Tall Pines Rally, Carré and Joyal once again proved their abilities, winning at the event in their first attempt. Mathematically, the team had done all they’d needed to be declared champions. It was a tough result for Vincent and Gaudreau, who had all the consistency, but not enough speed to win the title. Vincent was quick to recognize that a new Karel had come out to rally in 2018 and that he and Joyal deserved the title. Maxime Labrie and Jean-Sebastien Besner are both challengers in Karel’s mind, and rumours are floating that Antoine L’Estage may return to run the 2019 season, though that’s still to be confirmed. “It’s fun to be recognized for what we’ve done,” said Carré. “Looking back on the year, I am most proud of going to events as a first timer and winning Pacific Forest Rally and Tall Pines. It shows how we’ve evolved and how well we work as a team. Watch Karel Carré and Samuel Joyal attempt to repeat as winners of the Rallye Perce Neige this weekend. Follow the action through the CRC Facebook, Instagram, and Twitter accounts, and get the full story here.